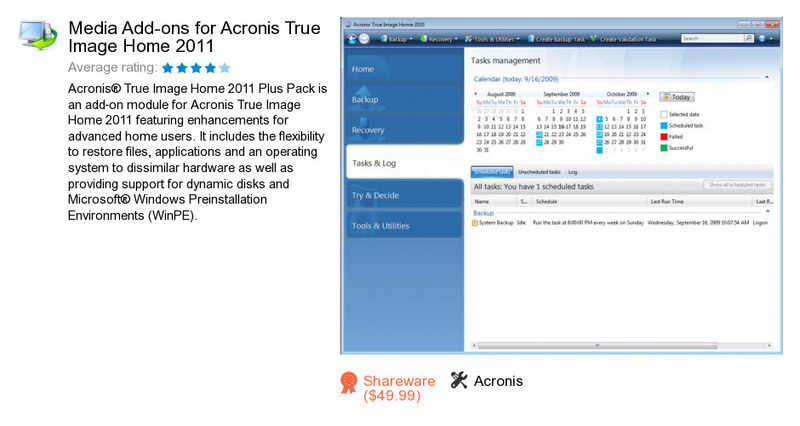 Media Add-ons for Acronis True Image Home 2011 is a software program developed by Acronis. We know of version 14.0. Version 14.0.6942 is available for free download at our site. Media Add-ons for Acronis True Image Home 2011 installation package has a size of 169,984,458 bytes. Acronis also publishes HGST Align Tool and Acronis Disk Director Suite.